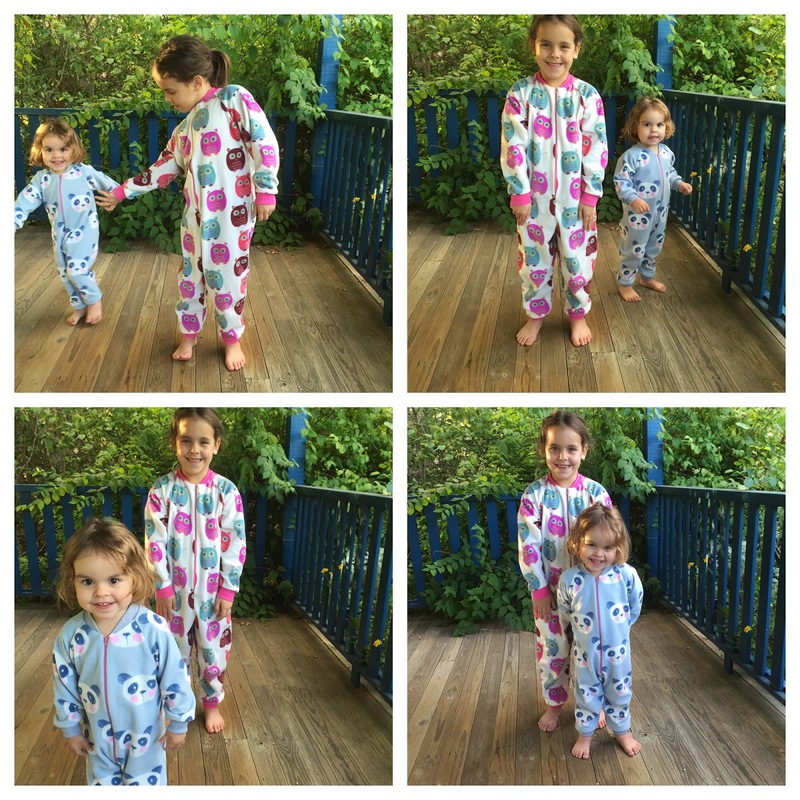 The onesies I made the twins from Kwik Sew 2704 are probably the most worn things I have ever made so I knew I would be making more as pyjamas for this winter. I used the same pattern for Eva and Kwik Sew 3527 for Olive. The patterns are nearly the same, the only differences are the crotch piece in 3527 and the size of the zip. Both are great patterns. I just need a trip to Spotlight to buy some more fleece and I'll be making a couple more. These look so cute! I love the panda fleece, I'd seen it in Spotlight but had no idea what to make with it. I think you've made me want to make a onesie, which I never thought would happen. Gosh, they are cute! I showed the girl and she wants a panda one too haha. I bought this pattern last year, and you've inspired me to make one up! http://www.jalie.com/jalie3244-footed-pyjama-sewing-patterns.html Anything to sew her something she'll wear! PS Can Olive get ANY cuter?